As the legendary Stanley Ho takes a well-deserved retirement bow as Macau’s Casino King, we examine his extraordinary life. From nicknames to tap-dancing, we’ve got the low-down on Stanley Ho. Stanley Ho’s penchant for wealth and success may well run in the family, as he is the grand-nephew of one of Hong Kong’s most influential businessmen and philanthropists’, Sir Robert Hotung, who, by the time of his death in 1956, had become one of the richest property owners in the country. Stanley Ho’s own family has expanded rapidly over the past few years. As one of thirteen siblings—and with four wives and seventeen kids of his own—the Ho family reunions are known for being newsworthy events. Dr. Stanley Ho is no stranger to honours. 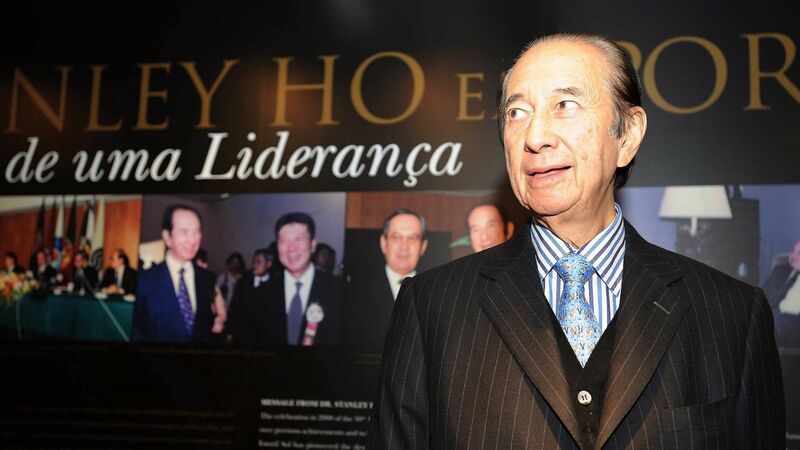 Over the years he has gathered a series of notable titles and awards, such as an O.B.E and Great Cross of the Order of Prince Henrique (the highest honour the Portuguese government can bestow), but within Hong Kong and Macau, he has been unofficially dubbed as both ‘The Godfather’ and ‘The King of Gambling’. Stanley Ho has always been known for his ambitious career, and his ideas have literally taken him to the skies. In early 1961, Stanley Ho released plans to establish the first ever helicopter route servicing passengers between Hong Kong and Macau—a route that is still growing strong, with over 42 flights per day. Not only has Stanley Ho been paving the way for Macau’s multi-billion dollar gambling industry, his name is literally on the streets. Located in the south of Macau, Avenida Doutor Stanley Ho is one of the city’s busiest avenues, renamed in his honour almost ten years ago in early 2008. By the 1990’s, SJM Holdings’ taxes accounted for over half of Macau’s annual income, and in 2006 Macau’s casino revenue officially surpassed that of Las Vegas. All of this combined has catapulted him straight to Forbes’ list of the world’s richest men and women. Currently, his net worth is estimated at a comfortable 2.5 Billion USD, and as of March 2018, his daughter Pansy Ho was listed as Hong Kong's richest woman. Stanley Ho is…still in the building? Even though he’s officially retiring, Stanley Ho will remain in place as the Company’s Chairman Emeritus, while his daughter Daisy Ho is appointed as Chairman and Executive director, alongside co-chairman Timothy Fok, the son of Ho's first business partner. When Stanley Ho is not busy running one of the world’s most lucrative gambling empires, you can usually find him on the dance floor. Over the years he has mastered the cha-cha, waltz, tango, ballroom and swing. He has become a major supporter of Hong Kong’s dance and arts scene, with televised charity fundraisers, and is currently the patron of the Hong Kong Ballet and the International Dance Teachers Association. While Stanley Ho is known as the founding father of Macau’s gambling industry, his career initially began as during World War II as a luxury goods smuggler, transporting stock to and from the China/Macau border. Is there a doctor in the building? Thanks to not one, but two, honorary doctorates from Hong Kong and Macau University respectively, Stanley Ho is not only a financial mogul, but an (academic) doctor to boot. Is it any wonder that Stanley Ho's life has (loosely) inspired a film adaptation? Casino Tycoon, filmed in 1992 stars Andy Lau, playing 'Benny', a young man fleeing from Japan to Macau, who eventually becomes the head of a gambling mafia. The film was followed by a sequel, Casino Tycoon 2 later the same year, and even inspired a video game adaptation of the same name, released for PC in 2001.